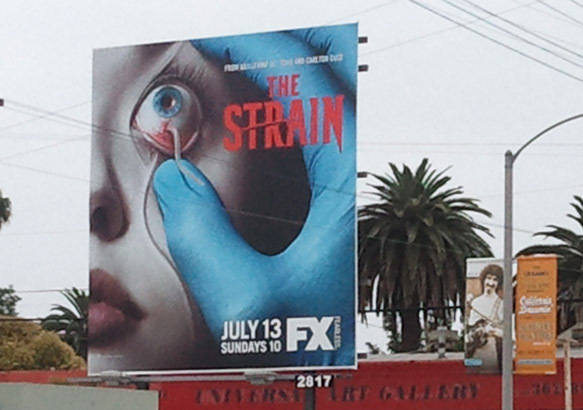 Quite a few people seem to think that billboard ads for FX’s new TV series, “The Strain,” not only cross the line between good and bad taste but use the public viewscape to display inappropriate content to children. And some wonder why such content is allowed where parents have no control short of covering their children’s eyes when driving the city streets. 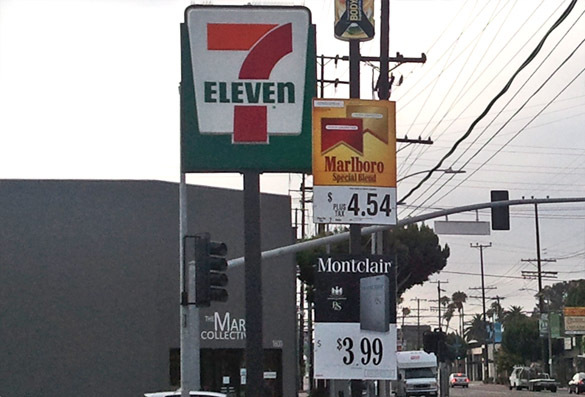 Fifteen years ago, L.A. City Councilman and now-City Attorney Mike Feuer led the charge for an ordinance banning signs advertising tobacco within 1,000 ft. of schools, parks and playgrounds, youth centers, churches, and residential buildings. 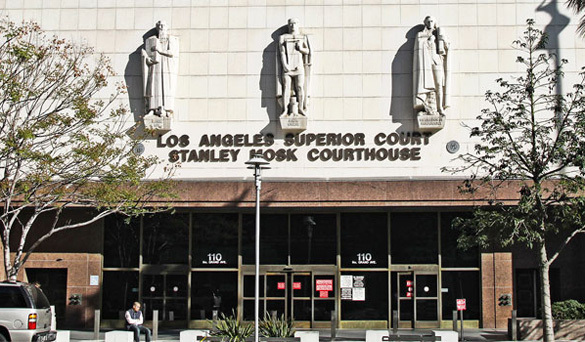 The ink was hardly dry on that measure, though, when the U.S. Supreme Court ruled in a Massachusetts case that such restrictions violate the lst amendment’s guarantee of free speech, and while the L.A. ordinance is still on the books the city hasn’t attempted to enforce it. 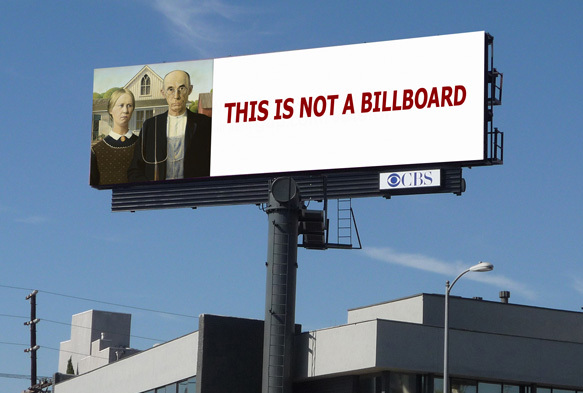 To say that billboards are a delivery system for commercial advertising is to state the obvious to anyone who sees them looming above city streets, hung from the sides of buildings, or affixed to bus shelters, subway walls, and other public amenities. 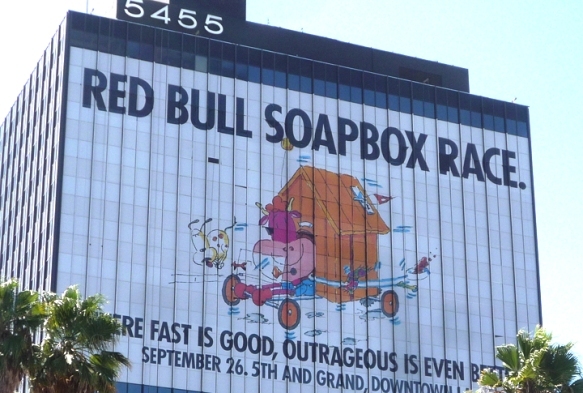 But because many people regard this intrusion into the landscape as both visual blight and an unhealthy commercialization of public space, the public relations arm of the billboard industry conducts regular campaigns to convince people that billboards are much more than just a platform for selling cars, fast food, movies, and myriad other products and services. Wilshire Blvd. building owned by Jamison Realty when this unpermitted supergraphic sign was photographed in 2009. Update: A day after the following post, the Mayor’s office announced that Ms. Lee was asking that her name be withdrawn from consideration for appointment to the commission. A new mayor’s appointments to boards and commissions don’t usually stir up much fuss, but Eric Garcetti’s naming of a real estate company executive to the West L.A. Area Planning Commission has raised the hackles of community leaders who spent considerable energy during the past decade doing battle against the blight created by unpermitted billboards and supergraphic signs. AIDS Walk Ads on L.A. Buses: A Pandora’s Box? Imagine a DASH bus rolling through downtown Los Angeles streets with an ad on its sides promoting the annual AIDS Walk, which raises millions for AIDS awareness and prevention programs. 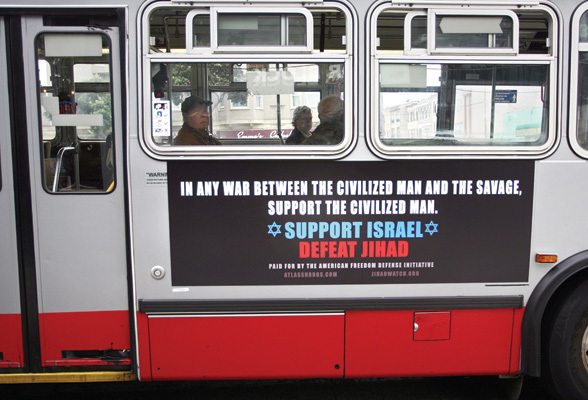 Then imagine that same bus, a few months later, with an ad proclaiming that AIDS is retribution for the sin of homosexuality. On May 19, 2007, union workers who changed ad copy on Clear Channel billboards in Boston went on strike when the company unilaterally imposed deep wage and benefit cuts even though it had made a $153 million profit the previous year. 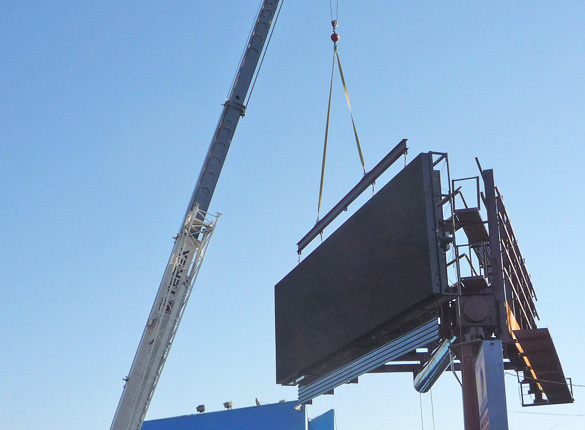 In response, Clear Channel fired the workers and hired replacements, whose training was called into question when one of them promptly fell from a 30-foot high billboard. Lamar Advertising wants to put a full-size digital billboard at the site of an existing sign, lower left, on Sunset Blvd. in Silverlake. 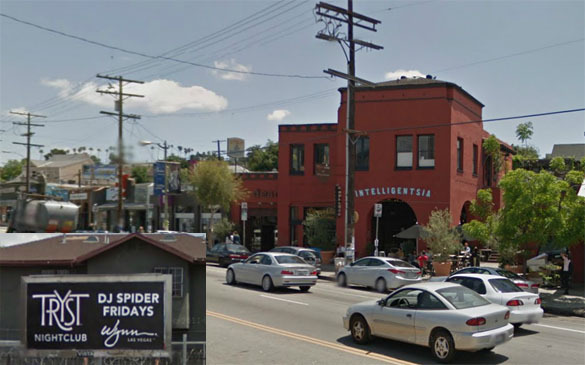 The new digital billboard would be directly across the street from Sunset Junction, a popular neighborhood gathering area of small shops and cafes. 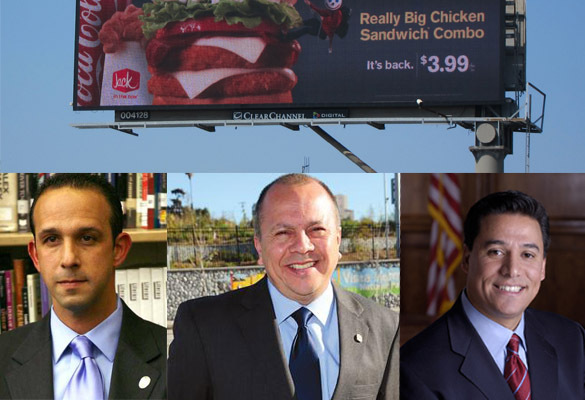 Back in late March, Louisiana-based Lamar Advertising filed a lawsuit seeking to force the city to issue permits for 17 new, full-sized digital billboards. Now the company has amended that suit, asking for a total of 45 digital billboards on 29 different major thoroughfares throughout the city. 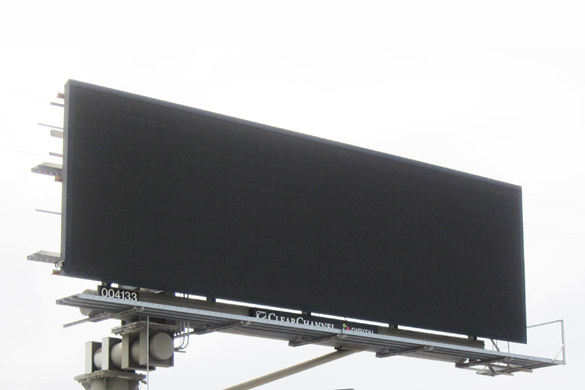 L.A.’s Digital Billboards Go Dark. What’s Next? Does anyone out there believe that the final chapter of the city’s digital billboard saga has been written? That the collection of black billboard faces pasted into the visual landscape like minimalist art pieces is Clear Channel and CBS Outdoor’s farewell gesture to long-suffering residents of the city?